Monday, February 17 is Presidents Day 2014 in the United States. So as a small celebration of all American presidents I decided to read probably one of the best books on U.S. presidents past and present. But before I bought Michael Beschloss’s “The Presidents of the United States of America” I made sure to read the “Most Helpful Customer Reviews” on Amazon. One of them, posted February 1, 2014, caught my eye. The writer said he’d been a tourist in Washington, D.C. some years ago (which I was many moons back). He also wrote that one of the reasons he’d been driven to buy the book for himself was because he’s a history major, which I am. “The dignity of the Presidential Office is preserved by giving each President a sympathetic account starting with their birth, family and education. This is not a report card or evaluation of their place in history. As we all know, mountains of praise and blame for these Presidents can easily be found elsewhere.” – Meow Tomcat. I’m sure not everyone would come away with those thoughts on Beschloss’s book, but I certainly did. As February 16 happens to be the birthday of one of Sierra Leone's past presidents, I thought what better way to mark it than put together a quick review of his life, and all Sierra Leonean Prime Ministers and Presidents. The short bios below are based on publicly available sources with contributions from historians, journalists, political observers and friends of Sierra Leone. I have used the most "sympathetic" accounts; those that are not "report cards or evaluations of their place in history," and leave out “mountains of praise and blame that can easily be found elsewhere." Sir Milton Augustus Strieby Margai is the first prime minister of Sierra Leone. He was born December 7, 1895 in Gbangbatok, Moyamba District. Margai received his education at the United Brethren School in Bonthe, where his family had their roots, and his secondary education at the Albert Academy in Freetown. Both of these were the foundations of American Evangelical Missions. Margai then attended Fourah Bay College and earned his bachelor's degree in history in 1921. From there he went to medical school in England and in 1926 graduated as a doctor from the Durham University College of Medicine. He returned to Sierra Leone in 1928 after earning his medical degree and served in 11 of 12 districts in the protectorate before retiring as a senior medical officer in Bo. Margai was an active member of the Sierra Leone Organization Society which was formed in 1946 by chiefs, civil servants, educators and journalists. Some of the most influential members included Chief Julius Gulama, Doyle Sumner, Dr. Karefa Smart, Ahmadu Wurie, A. J. Momoh, F.S. Anthony, and Alex Cotay, who edited the Sierra Leone Observer in Bo. Cotay was an able editor who helped to establish the Sierra Leone Organization Society as a political force as eventual events did show. Under Margai, a number of national groups came together to form a coalition called the Sierra Leone People's Party (SLPP). The organizations included the Protectorate Educational Progressive Union (PEPU), the People's Party, led by Lamina Sankoh; and the Sierra Leone Organization Society. The objective of the new SLPP was independence for Sierra Leone. In 1949, under Margai's chairmanship, the SLPP won the 1951 election to the Legislative Council and Margai became leader of the SLPP majority in the legislative council. After heading the departments of Health, Agriculture, and Forestry, and serving as the leader of government business he was elected chief minister in 1954. Margai led the Sierra Leone delegation at the constitutional conferences that were held in London, England in 1960. As Sierra Leone headed for independence, Margai oversaw the creation of a new constitution for the colony. On April 27, 1961, Milton Margai led Sierra Leone to independence from the United Kingdom. The nation held its first general elections on May 27, 1962 and Margai was elected Sierra Leone's first Prime Minister. Margai died in office in Freetown in 1964 and was succeeded as prime minister by Albert Margai. Sir Albert Michael Margai was the second prime minister of Sierra Leone and half-brother of Sir Milton Margai, the country's first Prime Minister. Albert Margai was also born in Gbangbatok, Banta Chiefdom, October 10, 1910. He received a Roman Catholic education at St. Edward's Primary School and went on to be one of the first group of students to attend St. Edward's Secondary School. Margai became a registered nurse and this was his occupation from 1931 to 1944. He later travelled to England and read law at the Inner Temple Inns of Court, where he qualified in 1948. Prior to his political career, he owned a private law practice in Freetown with Banja Tejan-Sie. Margai was elected Member for Moyamba in the Protectorate Assembly in 1949 and then to the Legislative Council in 1951. He was Minister of Local Government, Education and Welfare from May 1952 until he lost his cabinet post in a leadership crisis after the general election in 1957. The Margai brothers ran against each other in the SLPP leadership contest and Albert won. After the intervention of Milton's supporters, Albert stood down in favor of his brother on the condition that he became a senior member of the cabinet. The post he had his eye on was Minister of Finance. Angry at Albert's decision, Siaka Stevens and Yankay Sesay, ardent supporters of Albert, walked out of the meeting. Stevens resigned from the SLPP in July 1957 and Milton went on to form a cabinet . By September 1958, Albert had also left the SLPP to form the People's National Party (PNP), which was amalgamated with the Sierra Leone Progressive Independence Movement formed in 1956 by Edward Wilmot Blyden III. Albert served as finance minister in Milton's government after 1962, where he also held positions in Education, Agriculture, and Natural Resources. After the death of his brother, Albert served as Prime Minister from 1964 until 1967. 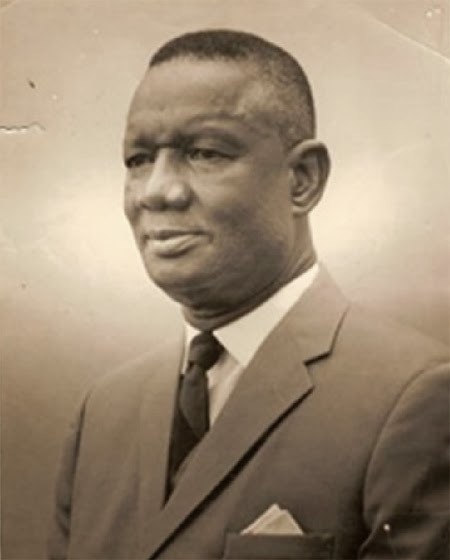 Siaka Probyn Stevens was the third prime minister of Sierra Leone from 1967 to 1971 and the first president of Sierra Leone from 1971 to 1985. Stevens was born on August 24, 1905 in Moyamba in the Southern Province of Sierra Leone to a Limba father and a Mende mother. Although born in Moyamba, Stevens was largely raised in Freetown. Stevens completed his primary education in Freetown and completed secondary school at Albert Academy in Freetown, before joining the Sierra Leone Police Force. From 1923 to 1930, Stevens rose to the rank of First Class Sergeant and Musketry Instructor. From 1931 to 1946, he worked on the construction of the Sierra Leone Development Company (DELCO) railway, linking the Port of Pepel with the iron ore mines at Marampa. Later, Stevens served as station master and stenographer in Marampa Mines. In 1943, he helped co-found the United Mine Workers Union and was general secretary for fifteen years. He was appointed to the Protectorate Assembly in 1946 to represent workers' interests. In 1947, Stevens studied labor relations at Ruskin College. In 1951, Stevens was elected to the Legislative Council under the banner of the Sierra Leone People's Party (SLPP). A year later, he became Sierra Leone's first Minister of Mines, Lands, and Labor. 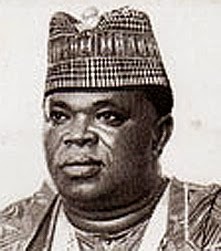 In 1957, he was elected to the House of Representatives as a member for Port Loko constituency, but lost his seat as a result of an election petition. After disagreements with the SLPP leadership, Stevens broke ties with the party and co-founded the People's National Party (PNP), of which he was the first secretary-general and deputy leader. In 1959, he participated in independence talks in London. Upon his return from the talks. Stevens launched the Elections Before Independence Movement. He was one of the first eight members of the All People's Congress (APC) after it was formed in March 20, 1960. Seven years later, Stevens and the APC won the closely contested 1967 Sierra Leone general elections over the incumbent Prime Minister Albert Margai of the Sierra Leone People's Party. (SLPP). After a brief period of military rule, Stevens reassumed the post of Prime Minister on 26 April 1968. In April 1971, a republican constitution was introduced. 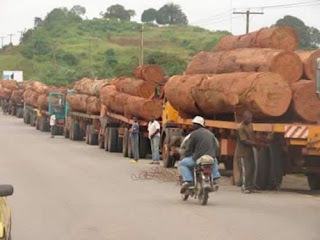 It was ratified by the House of Representatives on 20 April. A day later, Stevens became the country's first president, with wide executive and legislative powers. Major General (Ret.) Joseph Saidu Momoh was the President of Sierra Leone from November, 1985 to April 29, 1992. Momoh was born on January 26, 1937 in Binkolo, Bombali District in the Northern Province of Sierra Leone to Limba Parents. Momoh was overthrown in a military coup staged by Valentine Strasser, a 25-year-old army captain, in April, 1992. Strasser's cabinet members were young lieutenants and captains in their 20s. Momoh spent the last years of his life as a guest of the military government in neighboring Guinea, where he died in exile in 2003. 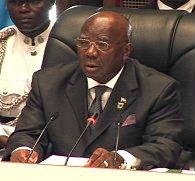 Alhaji Ahmad Tejan Kabbah (born February 16, 1932) was the third President of Sierra Leone from 1996 to 1997 and again from 1998 to 2007. An economist and attorney by professions, Kabbah spent many years working for the United Nations Development Programme. He retired from the United Nations and returned to Sierra Leone in 1992. In early 1996, Kabbah was elected leader of the Sierra Leone People's Party (SLPP) and the party's presidential candidate in the 1996 presidential election. Kabbah was Sierra Leone's first Muslim head of state.Kabbah was born in Mobai, Kailahun District in Eastern Sierra Leone, though he was largely raised in the capital Freetown. Most of Kabbah's time in office was influenced by the war with the Revolutionary United Front, led by Foday Sankoh, which involved him being temporarily ousted by the military Armed Forces Revolutionary Council from May 1997 to March 1998. He was returned to power after a military intervention by the Economic Community of West African States (ECOWAS), led by Nigeria. Another phase of the war led to United Nations and British involvement in the country in 2000. Kabbah declared the war officially over in early 2002. 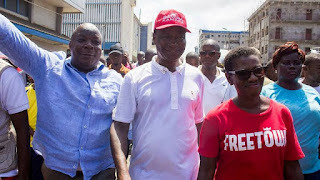 Kabbah went on to win his final five year term in office in the presidential election later that year, defeating his main opponent Ernest Bai Koroma of the main opposition All People's Congress (APC). 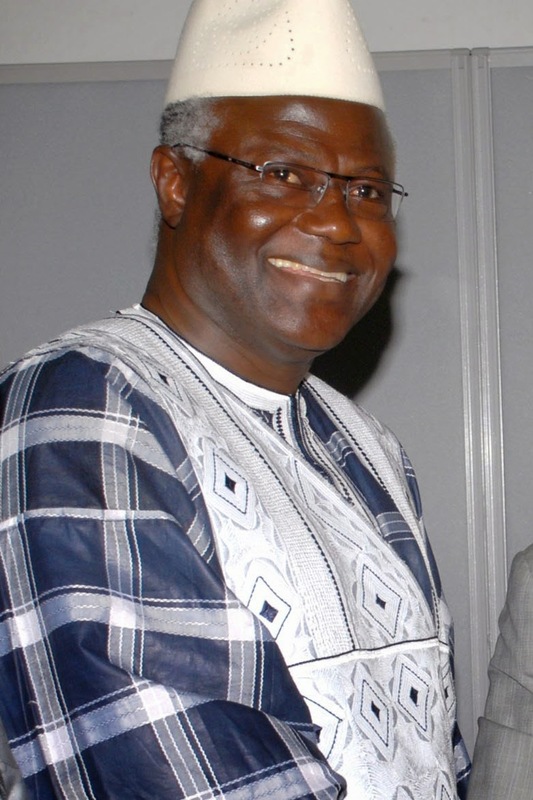 Ernest Bai Koroma is the fourth and current President of Sierra Leone since 2007. Koroma was born on October 2, 1953, in Makeni, Bombali District in the Northern Province of Sierra Leone. Koroma's father, Sylvanus Koroma was a native of Makari Gbanti chiefdom, Bombali District. Pa Sylvanus Koroma was a school headmaster and chairman of the Makeni Town Council before working as a bible school teacher at the Wesleyan Church in Makeni. Koroma's mother, Alice (June 27, 1932 – July 6, 2012), was from Kamabai, Bombali District. Alice Koroma served as a councillor in the Makeni city council in the 1960s as a member of the All People's Congress (APC). Madam Koroma was a prominent member of the APC party Bombali District branch, and a strong supporter of then Sierra Leone's president Siaka Stevens' APC government. Madam Alice Koroma later spent almost her entire career working as a primary school teacher in Makeni. An insurance executive by profession, Koroma spent over twenty-four years working in the private insurance industry before entering politics in 2002. From 1988 to 2002, Koroma was the Managing Director of the Reliance Insurance Trust Corporation (Ritcorp), one of the largest insurance companies in Sierra Leone. He is a 1976 graduate from Fourah Bay College, the oldest university in West Africa. Koroma was elected as leader of the All People's Congress (APC), then Sierra Leone's main opposition party, on March 24, 2002, after defeating then incumbent APC leader Edward Turay, his main opponent. Koroma stood as the APC candidate in the 2002 Sierra Leone presidential election, but he was defeated by incumbent Sierra Leone's President Ahmad Tejan Kabbah, who won 70.3% of the vote, to Koroma's 22.35%. Koroma conceded defeat. Koroma was later elected to Parliament of Sierra Leone representing his home District of Bombali from 2002 to 2007. In 2005, he was elected the minority leader of Parliament and remained in that position until his election to the Presidency in 2007. . Koroma stood again as the APC candidate in the 2007 presidential election. In a run-off, he received 54.6% of the vote and defeated incumbent Vice President Solomon Berewa, the candidate of then ruling Sierra Leone People's Party (SLPP). Berewa conceded defeat, and Koroma was sworn in as President on September 17, 2007 at the State House in the capital Freetown the same day he was declared the winner. On April 16, 2009, Koroma was re-elected unopposed by the APC as the party's presidential candidate for the 2012 presidential election at the APC National Delegates convention held in the northern city of Makeni. In the November 2012 presidential election, Koroma was re-elected as President receiving 58.7%, against his main opponent, SLPP candidate Julius Maada Bio, who received 37.4 percent. Koroma was sworn in as President for his second and final term at State House in Freetown on the same day he was declared the winner of the election. ***Periods of military junta rule also make up Sierra Leone's political history. The longest serving was that of the National Provisional Ruling Council which held power from 1992-1996.